The Covered Life: Hey, Aren't You...? I grew up in a small town. My parents grew up in the same small town. And their parents, except one, grew up in the same small town. I remember any time our family went anywhere, it seemed that my parents knew everyone. And they do still know quite a lot of people in our small town. Any time I wasn't with my parents, it wasn't uncommon to see someone and hear the question, "Hey, aren't you Mrs. Worley's daughter?" My mom was a teacher at the local school for over 32 years, after all, so she definitely has many people who know her. Or the question would be, "Hey, aren't you Billy's daughter?" My daddy worked as a part-time policeman in the town for over 20 years and is a full time farmer, so he comes into contact with many people... though, I was always worried about the ones who knew him because of police work. ;-) When I was a senior in high school my sister had a really bad accident that should have killed her, honestly, but through God's grace she is alive. And as small towns go, everyone knew one of Billy and Grace's girls was in an accident. So from then on, the question became, "Hey, are you the daughter that was in the car accident?" It's all quite laughable really, but I smile and answer(ed) their questions, "Yes, I am" or "no, that was my sister." And after talking to the person, I swell with pride at my family. I love the roots that are so firmly planted in this town, that even though I moved away for a couple of years, I was still able to come right back, welcomed, as if I never left. And though my sister was out of the country for four years and now lives out of state, she is still connected, because everyone knows that's where she is, and everyone asks when we're going to visit, or when she's coming home. When I started dating TJ, who is a Pastor, I prayed a lot before I really knew he was the one I wanted to marry. He jokes that he knew before I did, and that may be true. I wanted to know that if I married this man and God called us out of this town into another part of the state (or out of state), that I wouldn't resent TJ when we got there. That I wholeheartedly felt not only that God was leading me to marry TJ, but also that God was calling me to be a Pastor's wife. Obviously, God's answer was affirmative. And since that time, a funny thing has happened. Now the question I get asked most often is, "Hey aren't you TJ's wife? I even went to a high school football game last night between my Alma mater and our big rival, and twice, someone came up to me and asked if I was TJ's wife! And now thanks to my adorable son, I also get asked if I'm Bug's mom. But you know, I have no problem being known as my parents' daughter, or a sister to my sister, or the wife of my husband or the mother of my son. Actually, I love it. But what I love more than that is knowing that I am a child of God. I am a joint-heir with Christ. I am a daughter of the King. As easily as people can identify me based on my family connections, I hope they can identify my connection with Jesus even easier. Do people know you are an adopted son or daughter of God? Are they having to ask, "Hey, aren't you a Christian?" Ouch! Are you producing good fruit: love, joy, peace, patience, kindness, goodness, faithfulness, gentleness, and self-control? 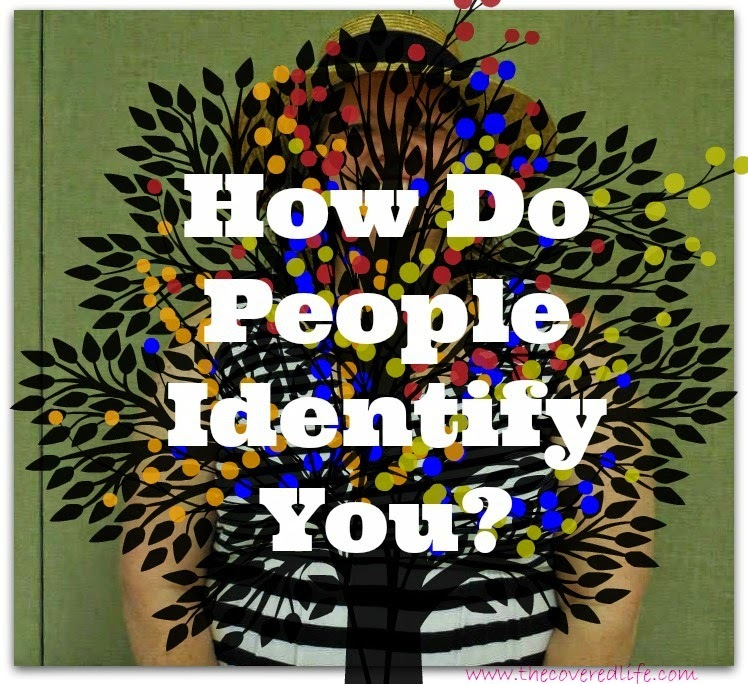 Can people identify you as a Christian because they see these fruits in your life? I truly hope that people can see me and say that's Billy and Grace's daughter/Holly's sister/TJ's wife/ Bug's mom AND she really loves Jesus.